Delicious pieces of capon (chicken) cooked in a creamy “sauce supreme” with wild Girolles mushrooms. 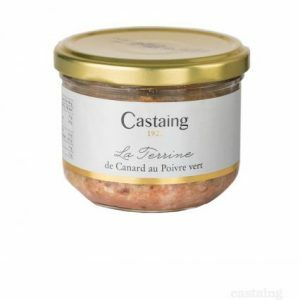 Simply requires gently simmering in a saucepan and goes well with a nice Bordeaux wine. 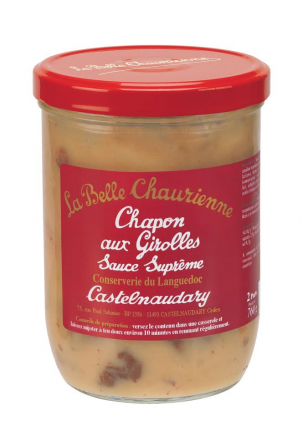 Goes well with mashed potatoes or alternatively serve with some fresh egg tagliatelle or parpardelle pasta. Storage: Store in a cool cupboard. Once open store in fridge and consume within 3 days. Sauce: water, white wine, cream, modified corn starch, port wine, lactose, milk protein, mushrooms, chicken stock, shallots, pepper. Pieces of capon (chicken), potatoes, wild chanterelles mushrooms.